When you are on the hunt for the ideal jewel or for the right present do not fail to visit the Petite collection. You’ll find only the best from the best. And Christmas is coming, so donâ€™t fail to give yourself the ideal present – superior quality and extra beautiful jewellery by Antoanetta. Oval Engagement Rings : check out our site for more details! In my personal life that would be my family, always standing tough and supportive of my job. This has been the biggest and most stimulating experience. Artistically I have always appreciated Alexander McQueen for the continual uniqueness and straightforward creativity. My preference or motivation to handle specific materials varies. I am currently engaged with Rose Gold and Black Diamonds. I believe its soft and really fashionable. I also always enjoyed testing unusual materials. I have utilized anything from nails, bird nets, tape, water drain pipes, you name it. Creating wearable jewelry with an improvised technique never gets outdated for me. 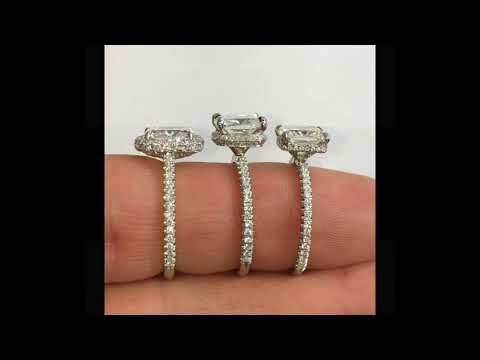 Oval Engagement Rings : visit our website for more info! ANTOANETTA is among the most desired for brand when it comes to excellent jewelry. The creator, Antoanetta Ivanova, made the brand with desires of keeping traditions in different houses. She is from Europe and was nurtured by parents who were also employed in the jewelry industry. The brand was founded after she graduated from the distinguished Gemological Institute of America in Carlsbad, where her Fine Arts and Art History became one of the basis for her line of business. As stated by Antoanetta, there is a story that she wants to say through each and every jewelry she and her crew designs. 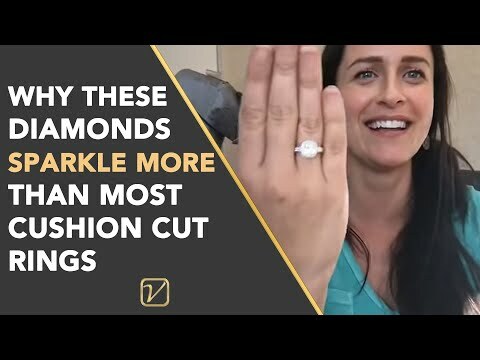 Top Engagement Rings : check out our site for more details. Antoanetta Ivanova is a fine jewellery designer in Los Angeles. Her jewelry pieces are worn by famous people like, Britney Spears, Kelly Rowland, Taboo (Black Eyed Peas), Sylvie Vartan and many more. This interview was shot right after her exhibit in Milan, Italy where she displayed her new fashion jewellery line Black Cyberia as one of the prime designers picked by Not Just A Label. How do you start making a new piece? Iâ€™d like to know about your design process-choosing, materials, design development, etc. The way I deal with a whole new piece relies on the outcome I wish to achieve. When it is a customized piece there are certain aspects that are already in place, such as stones, sentimental concepts and so on. When it is a 100% product of my imagination, I do not put any restrictions. I sketch it or carve it directly in wax and sometimes I fabricate it straight from metal. Iâ€™ll make use of CAD/CAM if I require that outstanding symmetry and precision even though I now can generate some attractive natural pieces in CAD too. An Engagement ring commonly needs to make a statement. It’s a symbol of commitment and getting the next big step in a coupleâ€™s relationship. Most men, who would like to propose to their partner, search for the perfect rings which guarantee to send the message: that he really loves her without condition. Because there are numerous designs and kinds of engagement rings, it may be challenging to seek out the right one. Having said that, you can begin by searching through one of a kind engagement rings, black diamond, and a lot more. Antoanetta is a well known brand of jewelry to many superstars in Hollywood. The jewelry developed by the brand does not only tell feelings but also makes statements. The designs show just how much Antoanetta spends in crafting her jewelry and making sure that every customer loves it. She really feels fired up when a new design crops up and she is aware that it will become another priceless piece. With every piece fascinating the biggest names in the entertainment industry, the brand undoubtedly succeeds in its ventures. 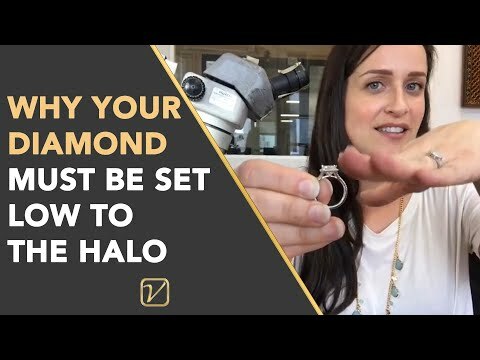 Halo Ring Engagement : check out this website for more info! 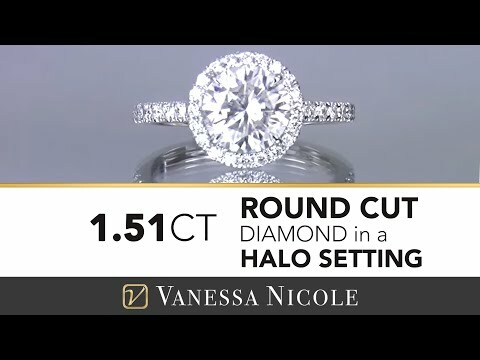 You are welcome to to check out our website to learn about Halo Ring Engagement. Antoanetta : I was raised in an artistic environment. My father is a jeweler but in those days I wasn’t as much into it. I was pursuing stage and performing arts and later studied Art History which transition into applied arts. It was not until we reached the States where I actually graduated from Gemological Institute of America with jewellery technology and design. I came to the conclusion that I have never been distant from developing jewellery as all it is, a sculpture on a smaller scale. Unique Engagement : visit this web site for more details. How do you approach a whole new collection? Where do your concepts evolve from? I think the “collection” is a notion that hits me without much consideration. I am really diverse when it comes to creating jewellery and it is actually influenced by my current state of mind. Therefore, it is not easy to unify pieces under a supposed, collection. It is a lot more like mini collections within a bigger one. Ideas are obscured in plain sight. I notice inspiration in matters that are totally not linked to jewellery or art on the whole. I think ideas are a product of our subconscious. Antoanetta.com offers Unique Engagement, mens wedding rings… and More ! All our jewelry is hand made to perfection using recycled gold and ethically sourced precious and semi-precious stones. Being a second generation jewelers we believe in family traditions and cherish the very aspect of the emotional meaning of each piece we create. How do you approach a brand new collection? Where do your concepts evolve from? I believe the “collection” is an idea that hits me without much consideration. I am really diverse in terms of creating jewelry and it is really influenced by my present state of mind. Therefore, it is difficult to unify pieces under a so called, collection. It’s more like mini collections within a larger one. Concepts are obscured in plain view. I find inspiration in things that are completely not relevant to jewelry or art in general. I think creative ideas are a product of our subconscious mind. 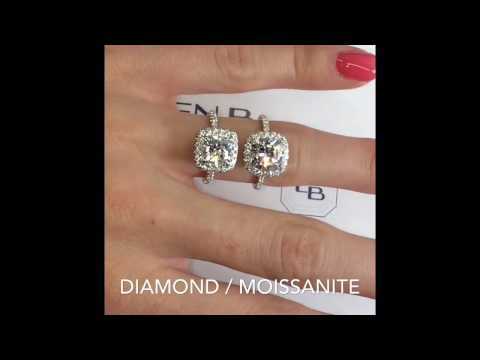 Click on the menu to look at our site to learn about Engagement Diamonds. Many of my sales are online, so it would be tough to point out who my customers are. In regard to the ones I have worked on custom pieces with, I would say they are individuals with characterized preference, looking for something unusual and distinctive. From all the comments I am getting I see individuals are admiring my capability to provide a twist to existing ideas. Halo Engagement : browse our site for further infos! Iâ€™ve never gave that much consideration, but I kept hearing peopleâ€™s opinion about what I do and the demand for my pieces continued to go up. Everyone features talent, itâ€™s all about discovering yourself. As insignificant it may sound, Nature is one of my main inspirations. You can find intricate figures in it, you can discover simplicity, organic yet organized. Halo Engagement : visit our website for more info! Antoanetta.com offers Halo Engagement, promise rings… and More ! Antoanetta is a trendy brand of jewelry to a lot of superstars in Hollywood. The jewelry made by the brand does not only tell feelings but also makes assertions. The designs show simply how much Antoanetta spends in creating her jewelry and making sure that each customer likes it. She really feels thrilled when a new design comes up and she is aware that it will become another precious piece. With each and every piece fascinating the biggest names in the entertainment sector, the brand undoubtedly succeeds in its endeavors. Cool Engagement Rings : navigate through this site for further details. In my private life that would be my family, always standing tough and supportive of my work. This has been the biggest and most stimulating experience. Artistically I have always admired Alexander McQueen for the consistent originality and straightforward creativity. All our jewelry is hand made to perfection utilizing recycled gold as well as ethically sourced precious and semi-precious stones. Being a 2nd generation jewelers we believe in family traditions and cherish the very aspect of the emotional meaning of every piece we create. What is your most excellent achievement at this point? My clients feedback! When I hear their exhilaration after getting a piece of jewelry from me, I’m complete! Antoanetta : I was raised in an artistic environment. My father is a jeweler but at that time I was not as much into it. I was going after stage and performing arts and later studied Art History which move into applied arts. It was not until we reached the States where I actually graduated from Gemological Institute of America with jewelry design and technology. I determined that I have never been far from designing jewelry as all it is, a sculpture on a smaller scale. Click on the menu to look at these pages to learn about Engagement Bands. How do you start making a new piece? Iâ€™d like to find out about your style process-selecting, materials, design development, etc. The way I approach a whole new piece relies on the outcome I want to achieve. When it is a custom piece there are specific factors that are already in position, like stones, sentimental ideas and so on. When it is a 100% product of my imagination, I do not put any restrictions. I sketch it or carve it directly in wax and sometimes I create it straight from metal. Iâ€™ll make use of CAD/CAM if I require that excellent symmetry and accuracy even though I now can produce some beautiful natural pieces in CAD too. Engagement Rings Halo : browse this website for more info! Every jewelry designed is handcrafted by professional artists, who have the same viewpoints as Antoanetta. The brand utilizes semi-precious stones and recycled gold as base for their jewelry. The other design is intentionally created to perfection, ensuring that every piece tells the story of emotions. Family traditions would be the heart of the brand and in jewelry. These differing emotions are converted and preserved in every piece created by the artisans. Morganite is a beryl that comes in a peach-pink hue. 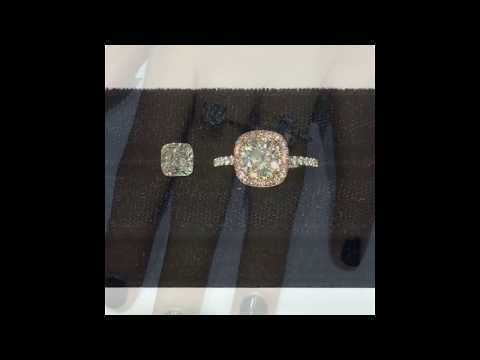 The morganite ring is wanted by some women because of its elegant color. Due to its popularity with most ladies, this ring is usually advised to men who want to propose to their lovers. By selecting the right cut of the stone, the ring should fit her beautifully. Feel free to browse our site to find info about Engagement Rings Halo. 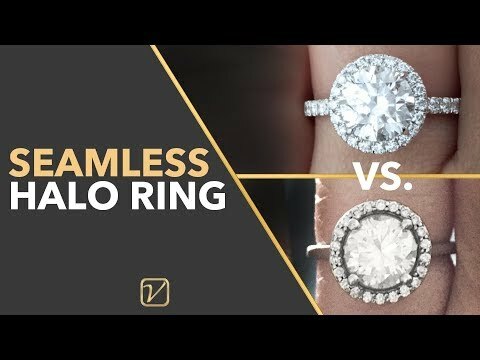 SEAMLESS HALO RING | What is a Seamless Halo Ring ? 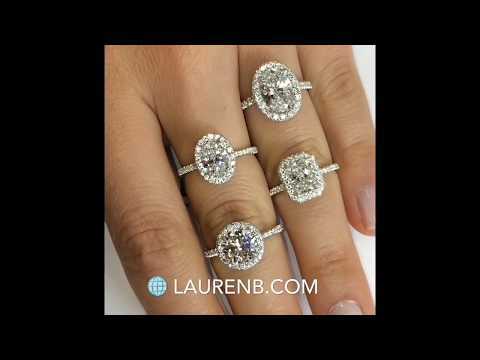 LaurenB Diamond Education: Diamond Rings "Halo Effect"
In case you forgot, we specialize in the seamless double edge halo design and here are just four engagement rings we currently have in stock that feature this. More tip for making your engagement ring budget stretch; adding a halo. 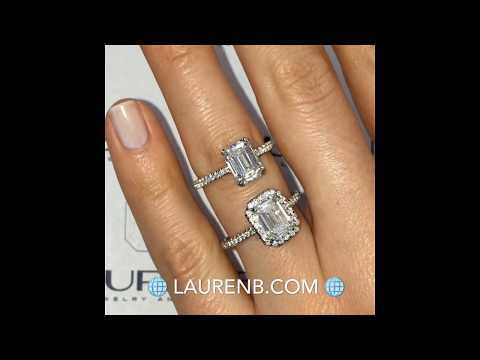 Here are two rings with identical 1.75 carat size emerald cut center diamonds.